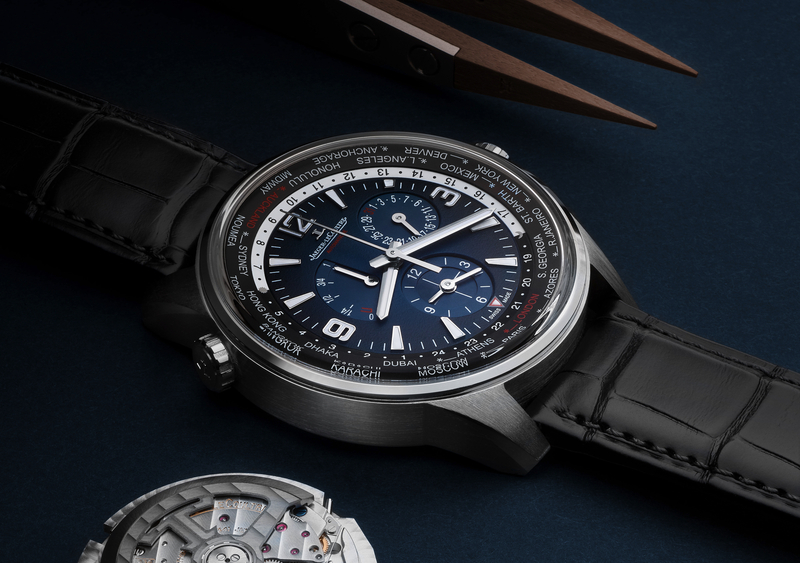 Following the launch of the all-new Polaris sports watch collection at SIHH 2018, this month Jaeger-LeCoultre announced a limited edition model called the Polaris Geographic WT. Presented in a 42 mm x 11.54 mm stainless steel case, with a gorgeous smoky blue gradient dial, the new World Time watch is powered by caliber 936A/1 which can display 24 time zones simultaneously using the outer chapter ring. Using the crown at 10 o’clock, you can rotate the World Time chapter ring and switch between cities, instantly viewing the time in 24 time zones, as well as taking into account standard and daylight saving time, which is designated with a white asterisk that indicates a one-hour difference. Additionally, you can view whether it is day or night an any of the time zones using the black and white 24-hour inner chapter ring. 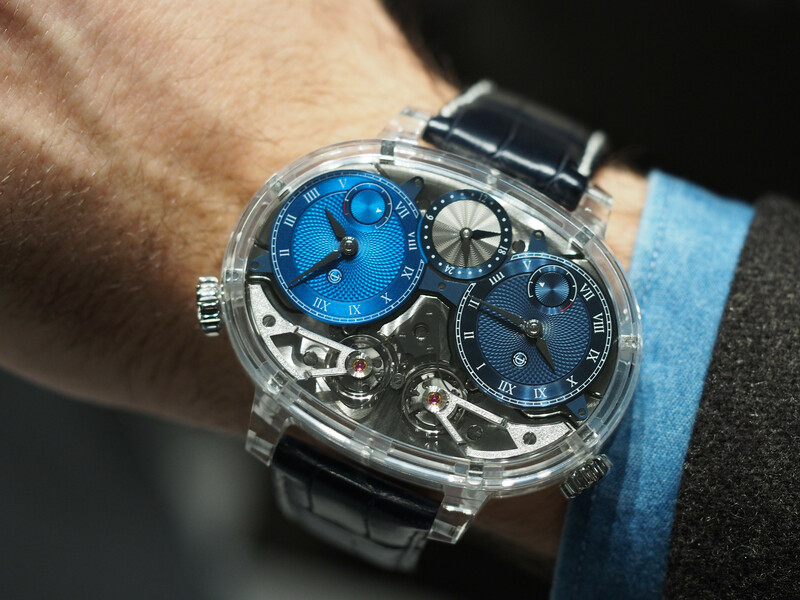 The smoky blue dial features grained finish, contrasted by sunrayed (snailed) sub-dials that indicate the second time, power reserve, and date, and an opaline finish for the city disk. 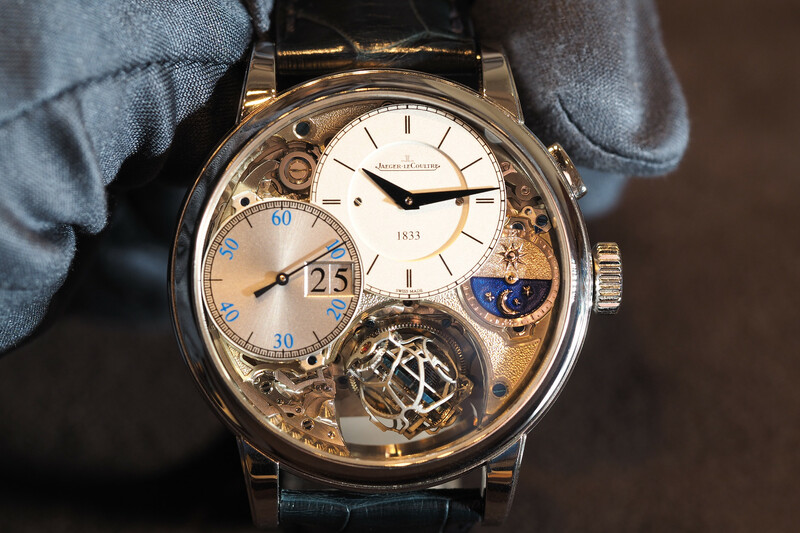 As you can see through the clear caseback, the movement is automatic with a smoked and skeletonized oscillating weight with Geneva striping. The main bridges are also decorated with Geneva stripes. The mainplate has a perlage finish. In total caliber, 936A/1, which beats at 4Hz, has 305 components, 34 of which are jewels. This Polaris Geographic WT (Ref. 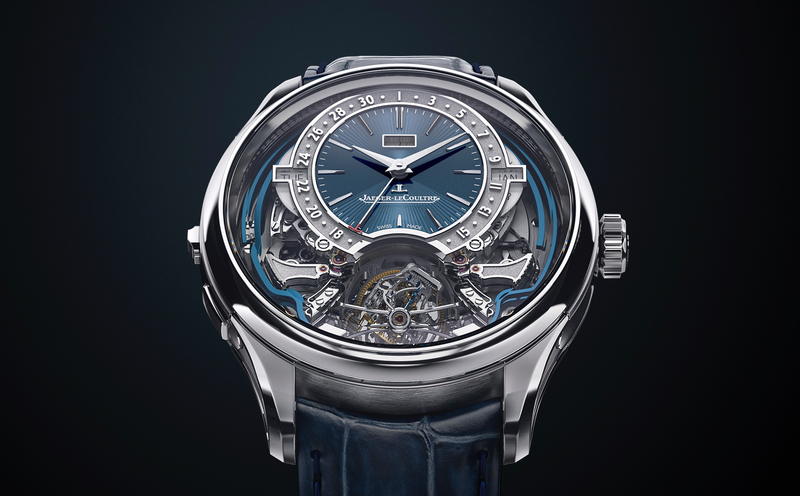 Q904847J) is available in a limited series of 250 pieces available exclusively at Jaeger-LeCoultre boutiques for a retail price of $13,600.